Freestanding letters. natural white polystyrene with red painted face. Available custom made to order in various heights and colours. 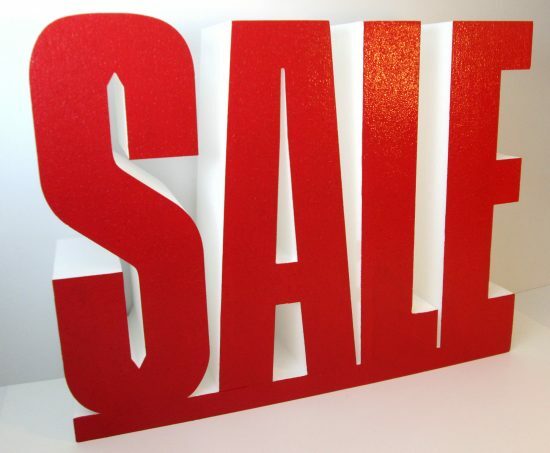 Shop Display Letter Props 600mm high, 800mm wide and 150mm thick.